We’re about to lose the peace, in two interrelated ways. 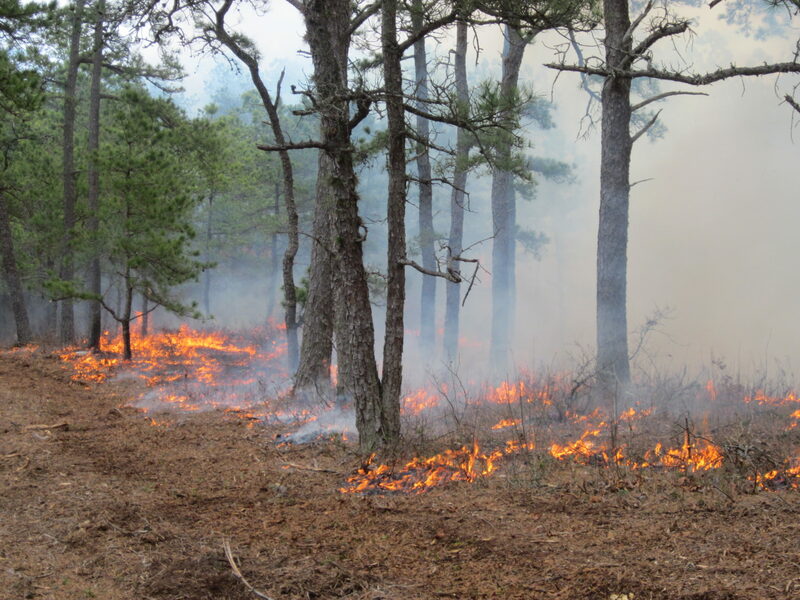 First, the Pine Barrens is not being fire-managed, but fire-suppressed in most places. Whole vital ecosystems, like the Dwarf Pine Plains, are in great danger of being lost through plant succession – takeover by other species. Second, rapidly accelerating global warming (RAGW) threatens the whole world, and the Pine Barrens as well, with complete destruction. I’ll discuss the local fire issue first. We need to do a lot of burning fast. If we don’t we will experience another 1995-scale fire, or, more likely in the global warming era, multiple ones when the next big drought hits, as it inevitably will soon. That one was so hot it actually killed many of the Pine Barrens plants and animals outright. These are species adapted to fire. But if we don’t burn, we will lose our entire Pine Barrens biota. So what happened? The area that burned had not had a fire in over 50 years, way too long a period to go fireless in a fire-climax ecosystem. The average Pine Barrens acre used to burn every ten to twenty-five years. Most of the original fires were fairly light and cool by California chaparral standards, but they burned large acreages, sometimes all the way across the entire Pine Barrens. They renewed the Pine Barrens flora and fauna in their wakes; fresh resprouts often sprang up the same year. 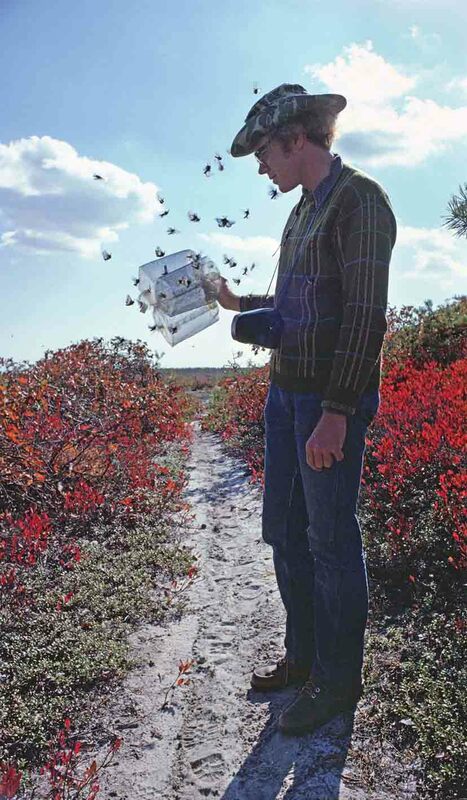 And they kept out many other species that would, and have, easily taken over and killed the endemic Pine Barrens species. The irony here is many of the invaders burn hotter than the native Pine Barrens plants. How do we catch up? We need to get smart, learn from others, and forge our own path. Another public education campaign will also be required to gain support. In the Jersey Pine Barrens, up to thousand-acre tracts are burned; that would be hard to duplicate here except in the largest preserves like Sarnoff/RCA. In the Albany Pine Bush, far smaller areas are burned, and that’s combined with intensive mechanical removal of invaders like aspen and locust. In the Centre County Barrens just west of State College, PA, one of the longest-running management programs uses multiple techniques for cutting and burning, including special management of reserve edges bordering settled areas. All the active programs first started off by establishing excellent relationships with the communities involved, and especially their fire departments and other agencies involved with fire and disaster response and recovery. The relationships actually benefited the communities and departments by bringing in additional financing, resources, and communications, as well as know-how transferable to many other situations. Some of this groundwork has already been done on Long Island. The next thing is to do simulations and small controlled burns, while exploring Long Island-centric solutions. We are essentially a spread out suburban city surrounding a central preserve district. There are many areas, not just edges, that will require special techniques, which we will have to pioneer. One is mechanical cutting and harvest of various species at various heights, conversion of that vegetation to the oxidized equivalent of fire ash through a modern pyrolysis digester, then re-spreading those nutrients back onto the harvested areas to support regrowth. Another is the use of frequent, light, skim burns to remove pesky invading vegetation where Pine Barrens meets civilization. Finally, we should look to undevelop and connect preserves separated by tongues of development at high risk in wildfires. But mostly what needs to be done for the next ten years are large restoration burns, to bring the Pine Barrens back to something resembling its original vegetation structure and composition. And here’s where our contribution to the worldwide struggle to stop and reverse global warming comes in. There is an enormous inherent conflict between halting carbon emissions and keeping a fire climax ecosystem going by correctly burning it! But we can leverage this for a dual solution to both Pine Barrens survival and our contribution to global warming reversal. Call it Pine Barrens offsets. If we want to pull our weight in the climate war, we will have to come from behind. LI is a wealthy region and can afford to do this. We should estimate what the total CO2 production will be from ramping up our fire management efforts to, say, an average of 5,000 burned acres per year, and seek public support for offsets. These could be in the form of conversions to non-fossil energy in transportation, residential, or business activities. 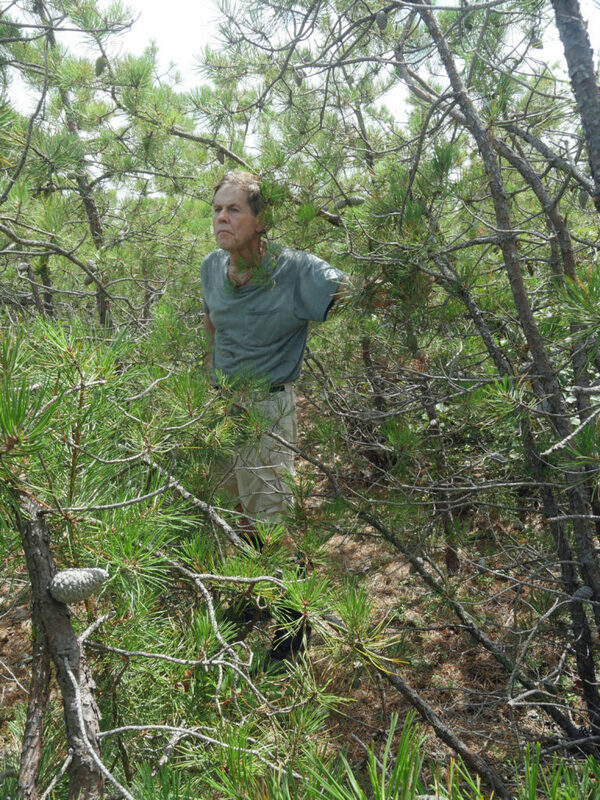 Pine Barrens Credits would be issued to participants. Though they’d have only moral value for now, that would ultimately build into infrastructure and habits. The momentum and experience generated would enable our island’s people to get out in front of the coming push to transform our energy and transportation sectors, including aviation and maritime, where we have deep history. We could become the East Coast cradle for the new business models required to conquer global warming, and thereby secure our future once more. Failure to stop and reverse rapidly accelerating global warming will have dire consequences for us. If it progresses to runaway global warming we can expect most of the island to disappear in a few hundred years. Before that, almost all the current biota will first be scrambled by newcomers, then extirpated. The lucky species will escape north. Before it ultimately drowns, our Pine Barrens will end as an impoverished echo of long-gone Florida, with hard pines, turkey oaks, and sawtooth palmettos instead of Pitch Pine, Scrub Oak and blueberries. A sad fate, and one we must avoid.